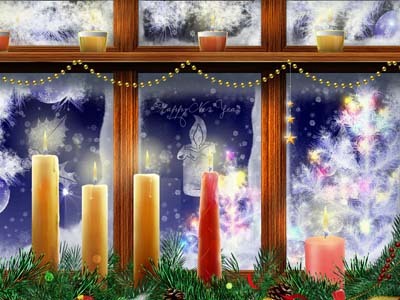 Gorgeous screensaver New Year Window with elegant high-quality graphics will be a wonderful decoration for your computer at Christmas and New Year. Christmas candles in the window, where the frost painted it`s magnificent snowy symmetrical patterns. If you have a bad mood or you do not feel the festive atmosphere, applicable set our screensaver. We assure you that your mood will improve! Screensaver is enjoyed both adults and children.